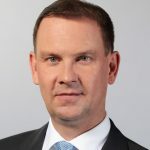 Dr. Oliver Ohlen is managing director of the management consulting company EMPORIAS – experts for holistic solutions in the areas of supply chain and lean finance. He graduated in business administration at the LMU Munich. Directly after graduation, he started to advice international clients as a consultant with the strategy consultancy Mitchell Madison Group. His finished his dissertation on the topic „internationalization of digital business models“ at the University of St. Gallen in switzerland. Since 2002 Oliver Ohlen has been advising industrial customers in the sections of SCM, logistics and procurement at EMPORIAS. He is focused on logistic supplier-connection, inventory and cost reduction programs, supply chain planning and controlling as well as organisational design. Follow him on Linkedin or Xing.